Course material: Weekly articles and assignments are going to be provided by the instructor. Course description: Global business operations can contribute to the creation of more efficient and productive economies in which individuals enjoy a better standard of living and governments have greater resources at their disposal to realize the human rights of their people. Yet the past decades have also seen an increasing public awareness of the detrimental impacts of such business operations on international human rights protection in home and host countries of corporate investment. 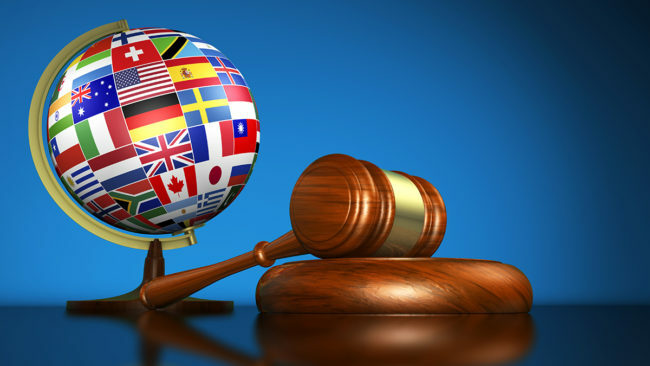 The course aims at giving an overview of the relatively new field of Human Rights Law by providing an exploration of the intersection of business and human rights; from a historical perspective as we discuss the evolution of the debate and from an applied perspective as we focus on particular cases and issues. To increase students’ skills in developing independent critical points of view on these topics by training them in the preparation of academic opinions and offering them the opportunity to discuss them during group debates. Autonomously and actively, discover the real issues in the current international legal order and develop nuanced and well-substantiated insights. Evaulation: There will be a final take-home exam and it will constitute %50 of the final grade. Participants will be able to use any source and may share their opinions with their peers when answering the questions but same or unusually similar answers will not be accepted. Participation during the sessions and doing weekly assignments together will constitute %30 of the final grade. Students who fail to read their assignments even for one week will lose the whole %30 of the final grade. Any excuse for this failure will be strictly evaluated. Students who do all the assignments and actively participate in the lectures will qualify for this %30. The remaining %20 will be awarded in view of the presentations and further information regarding the presentations will be provided throughout the lectures.